I am so excited!! My parents went to Paris for the weekend and brought me back a great french book on Macarons, I can’t fail so badly now…can I?? Well I hope not! There’s a list of aome beautiful flavour combinations in the book so I’ll make a batch for Christmas eve…fingers crossed! Have you seen the book “I Heart Macarons” ? 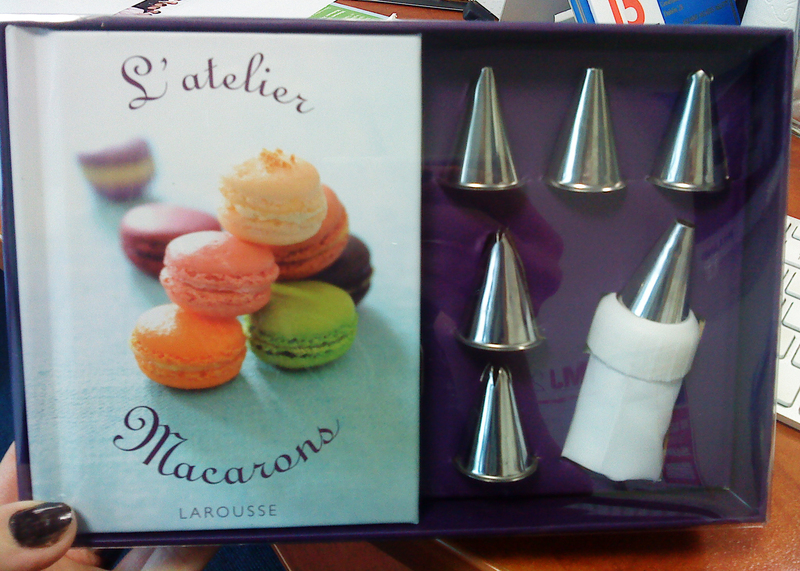 I just received it as a christmas present and had good luck with the recipe in there too…. I too had Macaron failure for the DB challenge, but the ones I made for christmas turned out! Oh I must look that book up, thank you! I havn’t had a chance to make them yet, they’re on the menu for early January. Congrats on the Christmas macarons!